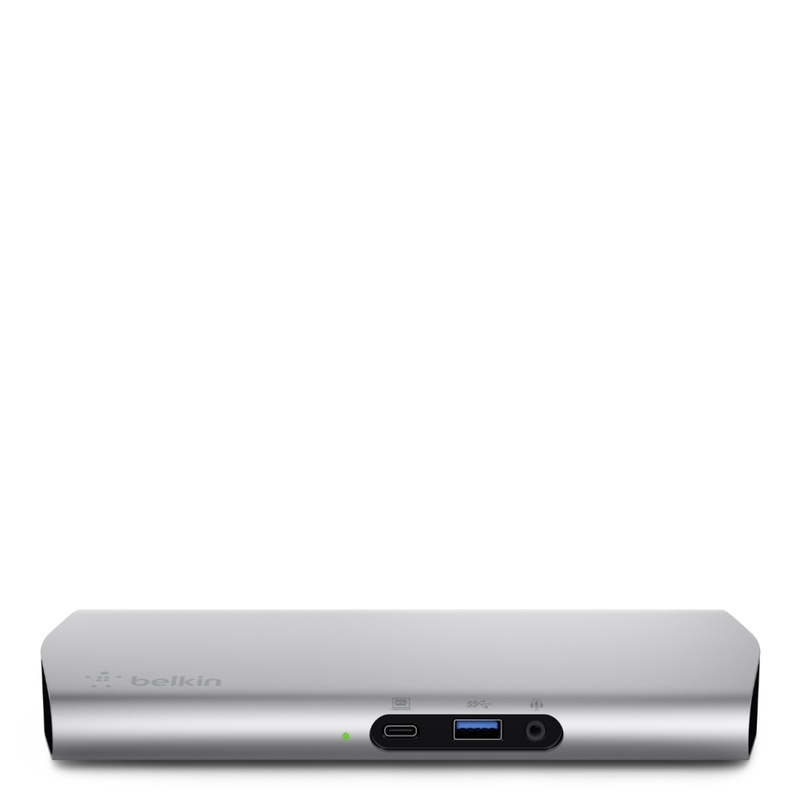 60W of power is shared between USB-C devices and adjusted based on need. 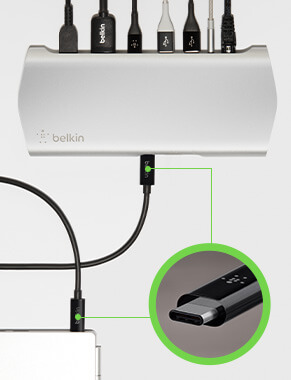 Belkin Power Priority technology assesses and adjusts power supply to USB-C devices as they charge, providing the most efficient charging to each. 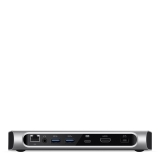 Recognizes which USB-C devices are connected to the dock. 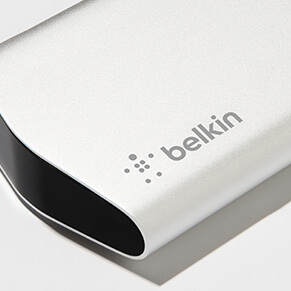 Assesses the power needs of each device and prioritizes the host device. 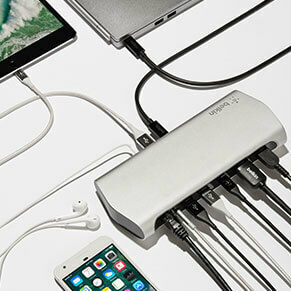 Distributes all available power in proportion to those needs. 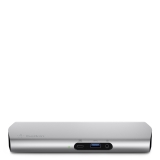 Continues to assess and adjust to provide optimal power as devices charge. 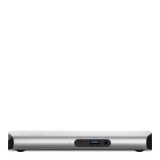 Enjoy 4K HDMI video connection for superior speed and picture quality, 60W of power your host device, and one gigabit Ethernet for a streamlined web experience across the board. 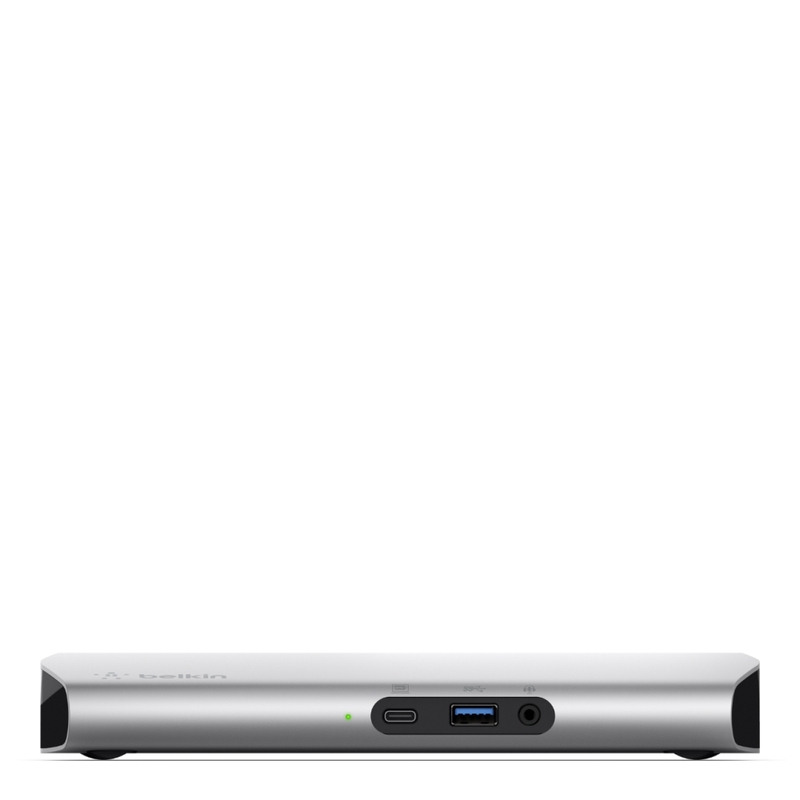 If you are using the Apple USB SuperDrive with MacBook Pro models that feature Thunderbolt 3 (USB-C) ports, you will need a USB-C to USB-A Adapter (sold separately) to connect directly to your host device. 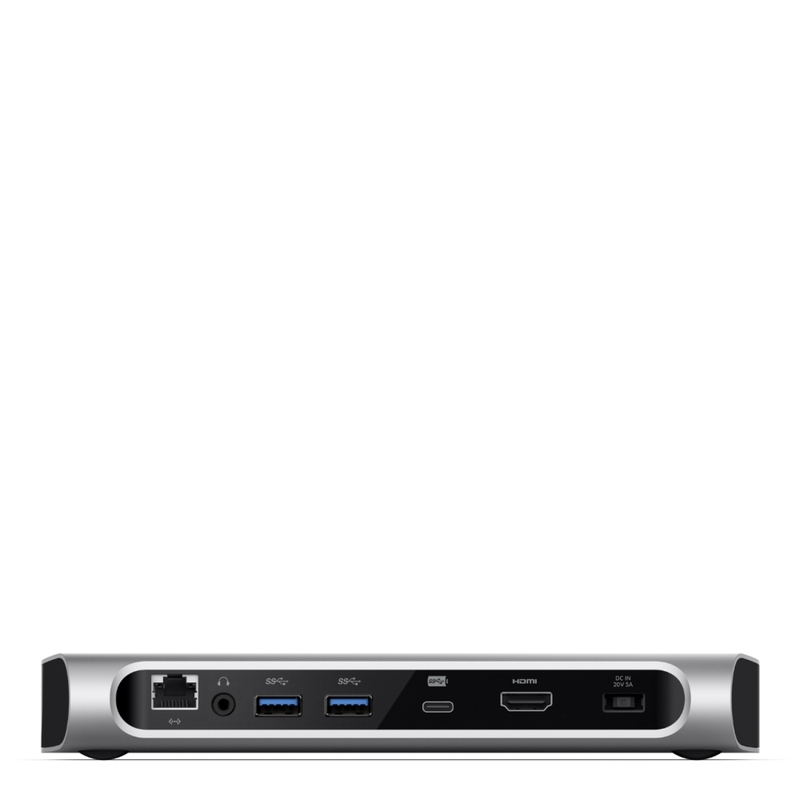 USB-C Express Dock 3.1 HD is designed for computers with a video-enabled USB-C 3.1 port. 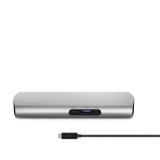 Computers with USB-C 3.0/ 2.0 ports will only support data transfer, not video. This dock's charging functionality is intended to work with USB-C and Thunderbolt 3 laptops. 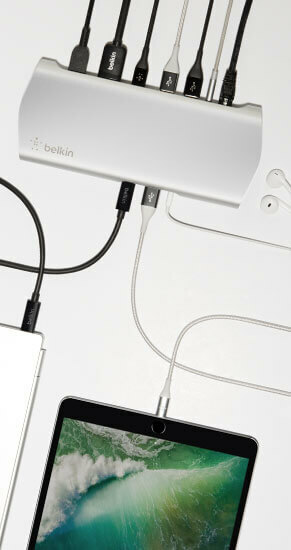 Some laptop manufacturers provide chargers that may partially support this charging feature, while other may require the use of their own proprietary laptop charger. 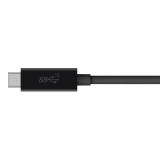 Please contact your device manufacturer to confirm 3rd-party USB-C charging support.